See the category definitions in the Conditions of Entry. Categories may be further sub-divided at the discretion of the QuiltNSW committee. Likely sub-categories include Amateur Pieced – large and small and Entrant’s Quilt Top Quilted by Another (Amateur) – large and small. 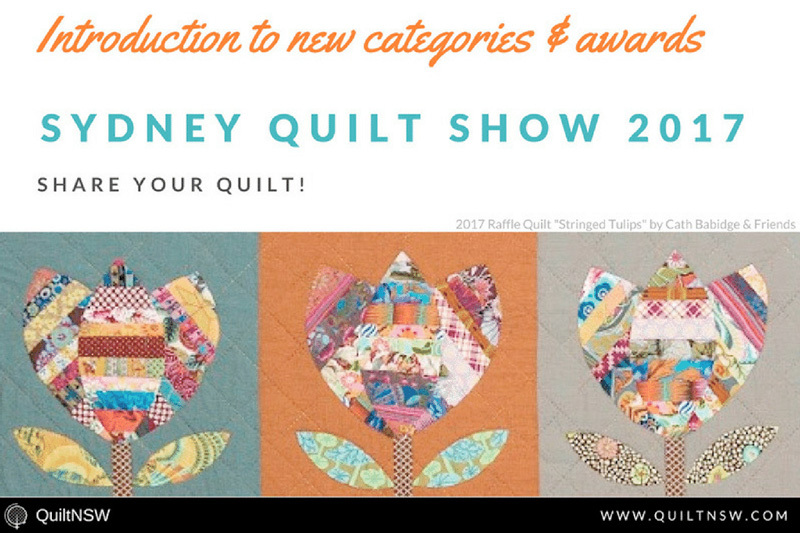 Entrants in Categories 1-4 and 6-9 may nominate their quilt for one of the new special awards: Best Traditional Quilt or Best Contemporary Quilt. Winners of these awards go forward for consideration for Best of Show. The coverlet or quilt must be entirely the maker’s own work including construction, quilting and binding except for: Categories 5 and 10 Entrant’s Quilt Top Quilted by Another; Category 16 Two Person Collaborative Quilt and Category 17 Group/Collaborative Quilt. Categories 5 and 10 Entrant’s Quilt Top Quilted by Another for quilts where any quilting is done by another person, whether or not payment is received. The quilting may have been done by hand, domestic sewing machine, frame- mounted machine, long-arm machine or computer aided stitching. The services of the same quilter may be used by more than one entrant in these categories. 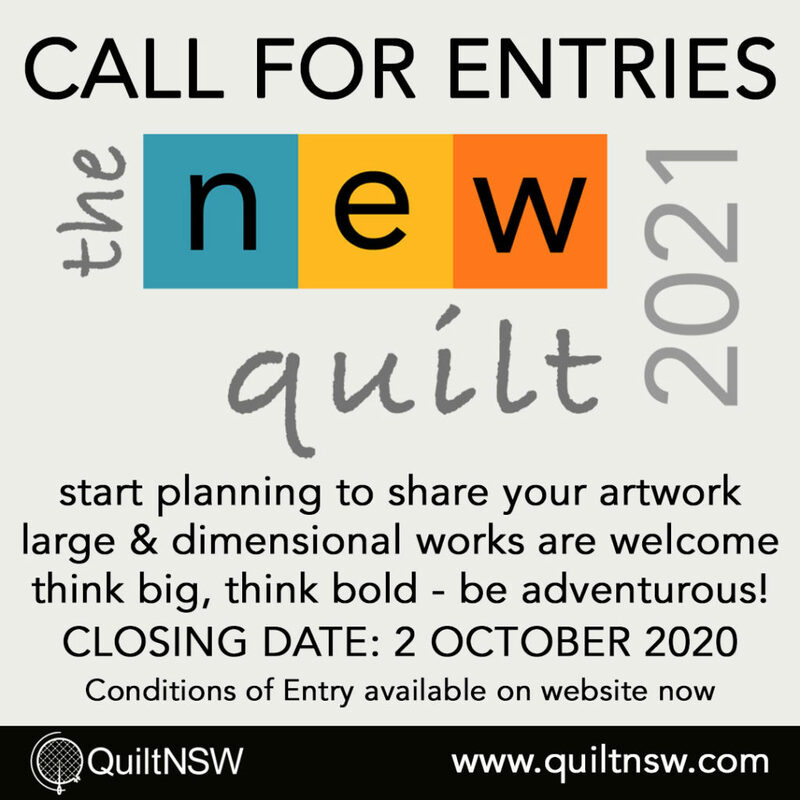 All entries in the Art Quilt category must be the entrant’s own design, not a copy or variation on the design of another artist working in any medium. In 2019, this category is open to both abstract and figurative works communicating an idea, emotion or concept through the medium of textile and stitch. Entries must be at least two layers stitched together. In 2019, the Pictorial Quilt category is a dedicated category open to any 3-layer quilt depicting a person, place or thing regardless of design source. If a quilt does not qualify for the Art Quilt or Pictorial Quilt categories or the entrant does not wish to enter these categories for any reason, the quilt may be entered into the relevant techniques-based category. 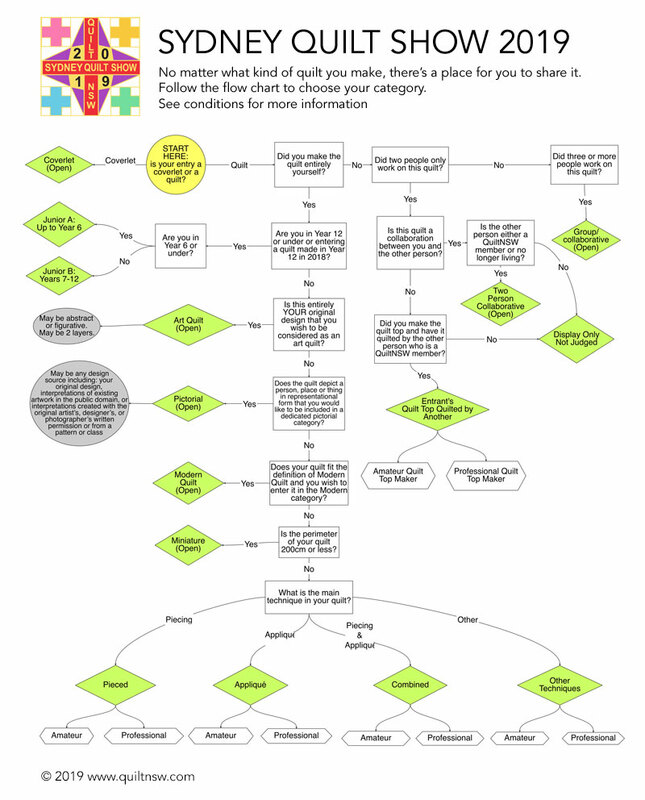 Techniques-based categories are open to any quilt regardless of style.